The NAMM Show – the National Association of Music Merchants – is the ultimate music event for celebrities, manufacturers, music journalists, DJ’s, musicians and anyone involved in the business of music. Every January 90,000 enthusiastic music pros convene in Anaheim, California to see all the new products, network, see the concerts, meet the stars and make the deals that drive the music business for the entire year. Monster Products wanted video content of the many stars and celebrities that checked out Monster Products and stayed for signings – all the Monster Musicians. 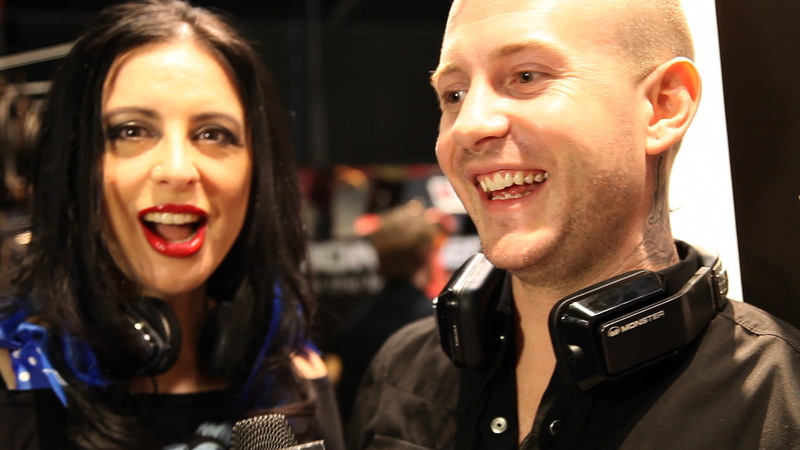 Unleashed Productions created a total of 25 videos covering the event over the course of a few days, covering the happenings of the event and of the Monster booth for Monster’s Public Relations and Social Media sites. The results and rewards of this project are still coming in as many of these celebrity video interviews have been shared among music fans, music pros and media outlets, (Monster’s Target Market) expanding the reach of Monster further than just those who were at NAMM or fans of the Professional Music Convention. Here are a few videos from the 25 Unleashed Productions created for Monster.